My thanks go to Felio, a reader of this blog, who is a florist by trade and gave me the idea of flower-themed posts. The first that came to mind were hydrangeas, because my paternal grandmother, gardener extraordinaire, used to grow them in the mountains of Auvergne. Needless to say, they are not hardy enough to resist that harsh climate, but my grandmother was not the sort of person to let such details stand in the way of her gardening wishes. Every fall she would dig up her hydrangeas, wrap the roots in burlap sacks and keep them in the cellar for the entire winter. Then by the end of the following spring, she would plant them again and soon they would be reborn in all the splendor of their huge pink blossoms. Hydrangeas are called hortensias in French, and I often read that they were so named by Empress Joséphine in honor of her daugher Hortense de Beauharnais, Queen of the Netherlands. 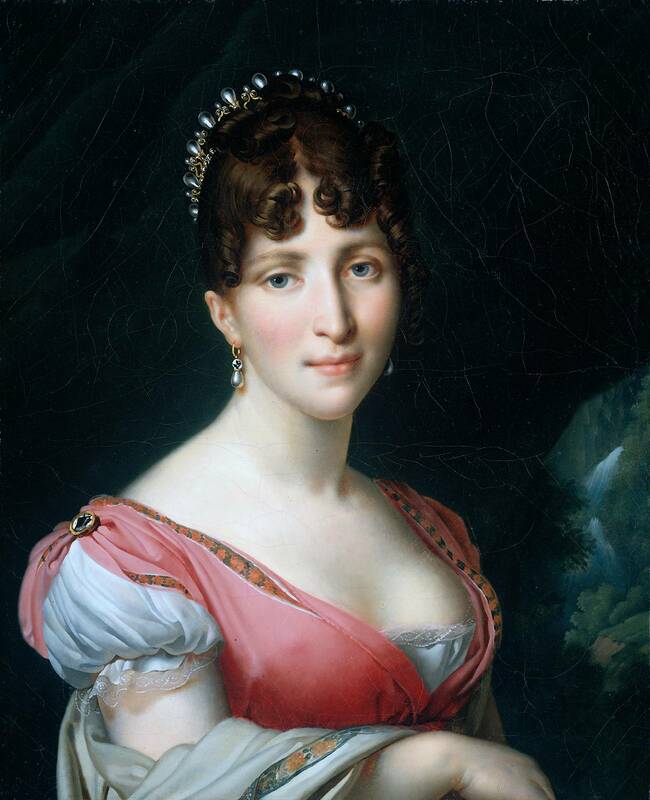 Joséphine was indeed a passionate botanist and cultivated hydrangeas in her gardens of Malmaison. Hortensia simply means in Latin “garden plant,” an apt if prosaic name. Yet it is to Joséphine’s cultivation of hydrangeas at Malmaison in the very early 19th century that the plant owes its initial popularity, which has spread worldwide and has never abated. It is impossible to leave the topic of hortensias without mentioning the Hortensia Diamond. It was purchased by Louis XIV and, unlike the Hope Diamond, is still part of the French Crown Jewels. It is often displayed in the Galerie d’Apollon, the most gorgeous hall in the Louvre. Was the Hortensia Diamond, over a century after entering the royal collections, named after the plant, or Queen Hortense? Frankly I don’t know, but I will note that its exquisite color is reminiscent of the pink shade of hydrangea blossoms. And speaking of shades, hydrangeas also come in blue. The blossoms of the same plant can turn from pink to blue, or the reverse, if you modify the soil’s acidity.